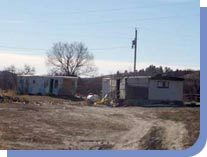 The Sioux Nation Relief Fund (SNRF) provides program services that benefit the Sioux Indians in the Northern Great Plains. 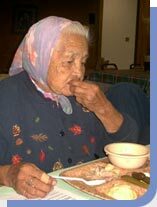 Our MISSION is "To help Native American people improve the quality of their lives by providing opportunities for them to bring about positive changes in their communities." SNRF seeks the input of Indian people living within their own community to identify needs, arrange volunteer support, provide lists that identify people in need of assistance, obtain facilities, and volunteer their own time to improve the community where they live. These volunteers partner with us to plan and implement SNRF programs. 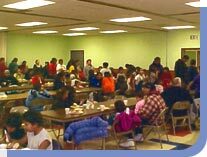 We do not serve individuals on a "walk in" basis, but direct these people to the appropriate Program Partner or group in their community that can provide assistance. We do not "dump and run". 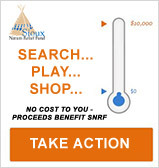 SNRF will not deliver unwanted or inappropriate goods to reservation communities. The charitable community as a whole is particularly guilty of this act. Most charities decide for the communities they serve what goods and services they will receive. We concentrate on what our Program Partners are telling us they want for their communities. Unneeded and unwanted supplies will not be delivered by us. Our money will be spent meaningfully and wisely. We have a limited budget and cannot solve all of the world problems. We are constantly rethinking our program strategies to get the most "bang for the buck". Whether it's feeding people the only meal they may get that day, or weatherproofing a house, we want our donors to know that what we do will successfully move us towards completing our mission. We have many Gift-in-Kind donor-imposed restrictions that we strictly enforce. A major concern of the corporations that donate their products to us is the possibility of distributed goods competing with the retail market. SNRF limits the mass distribution of donated products to rural reservation communities, and we provide a very limited distribution of donated products in small, poor urban areas.